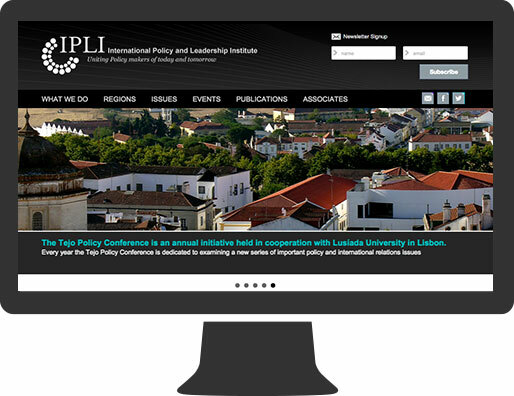 The International Policy and Leadership Institute (IPLI) is a policy institute focused primarily on the study of human security and development issues in the Euro-Mediterranean region. IPLI headquarters are located in Paris. The institute associates with Sciences Po and multiple other prestigious international academic institutions having established programs in public affairs, public policy, and international relations. 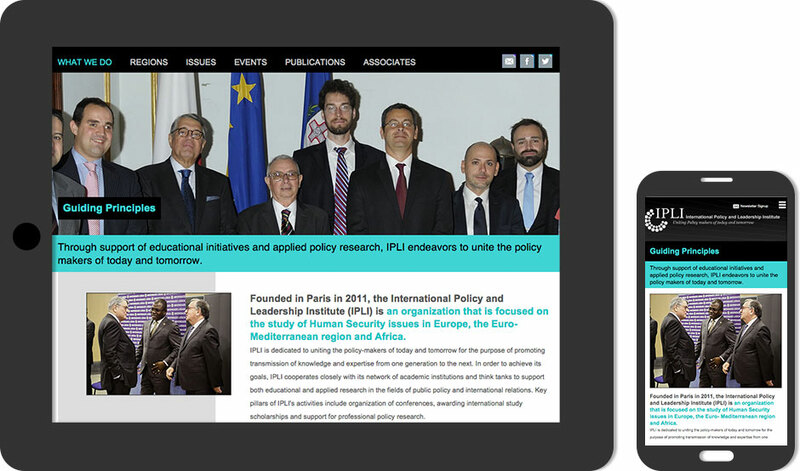 IPLI was formally founded in 2011. IPLI's objective as an organization is to cooperate with academic institutions and think tanks to provide support for applied academic research in the fields of public policy and international relations. IPLI had grown substantially since we built their original website in 2011. They contacted us about a website re-design that would modernize their web presence and add new functionality. It was important that the website look very professional and emphasize their latest partnerships with policy decision-makers in Europe. We worked put IPLI through our web design process and were able to develop a website that exceeded their expectations. 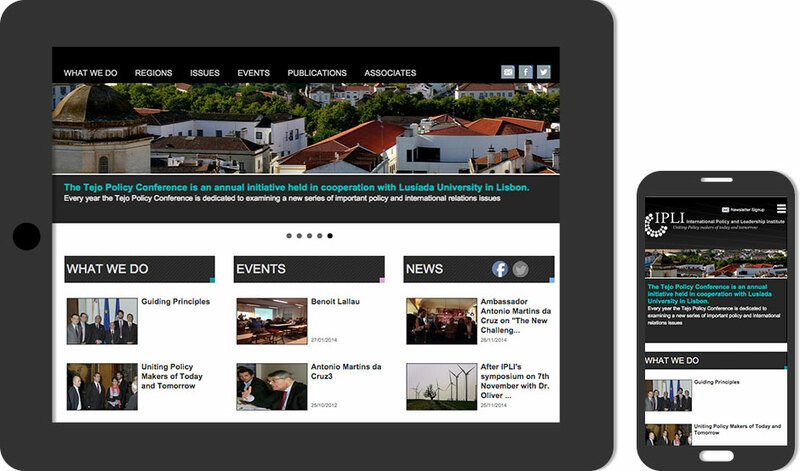 The website was built responsively using latest version of our custom content management platform. We also added the ability for multiple administrators to edit sections of the website content with multiple levels of access.